The Field has been the number one magazine for fans of shooting, fishing and hunting. Few magazines can claim the same sense of heritage than The Field. Since it was first founded in 1853, The Field has been the number one magazine for fans of shooting, fishing and hunting. A throwback to a bygone golden generation where modern sensibilities had no place, a subscription to The Field is your perfect companion if you are searching for a magazine that captures the essence of traditional country life. Written by experts in each discipline, where else would you find everything from shooting tips courtesy of Olympians to fishing advice from professional anglers and coaching tips from the finest dog handlers. 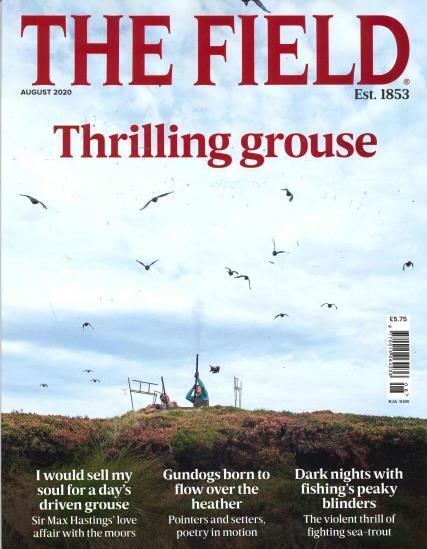 And combined with some of the most stunning photography to be captured in the countryside a The Field magazine subscription gives you a reason to look forward to the post arriving every month.